People know the delight their pet dogs feel when stepping outside for a walk or run in a field. 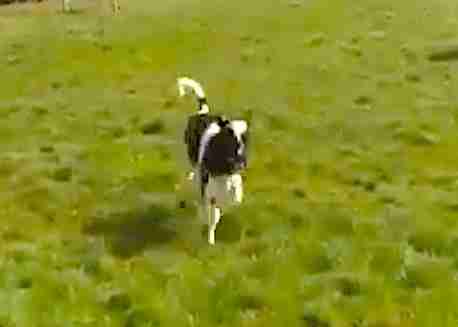 But some may not realize the puppy-like joy even grown-up cows show when let out of their barn. 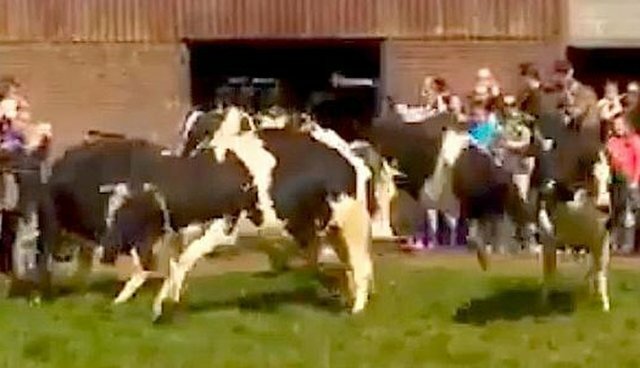 Watching recent footage of a group of cows let outside, no one could doubt their joy. The delight the cows feel, having fresh grass under their feet and sunshine on their fur, is more than palpable. Young and old, the bovines bounce around in the open field before beginning to graze. 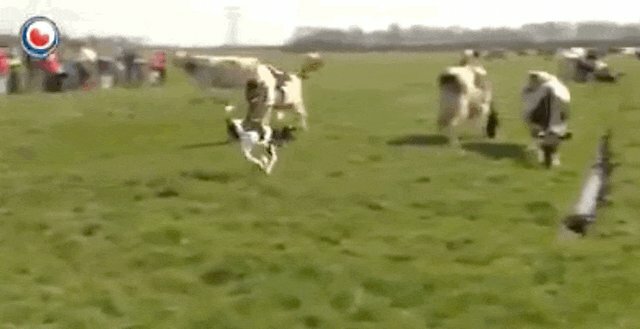 The puppy-like outburst comes as little surprise to those who know that scientists have declared that animals, from cows to dogs, have consciousness and emotions. This isn't the first time a cow has resembled a beloved household pet. 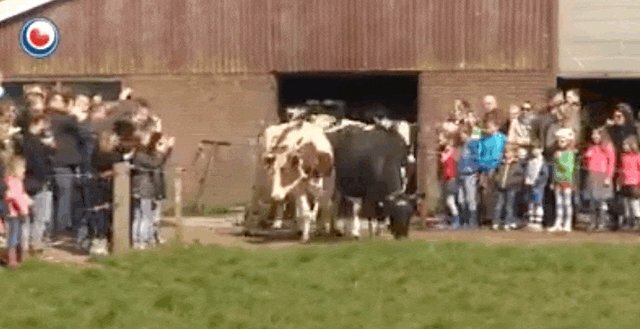 A rescued cow in Germany loves love so much she actually purrs.